Next step was to set up the tables - since rectangular tables were provided by the venue we wanted to amp up the style a bit. We chose to creat 3 large X's out of the tables and use 2 banquets together to make larger farmhouse tables instead of the standard rows of tables you normally see. Something so simple really elevates the overal design of the room. The bride chose silver and plum as her colors. We used classic white tablclothes and chair covers. 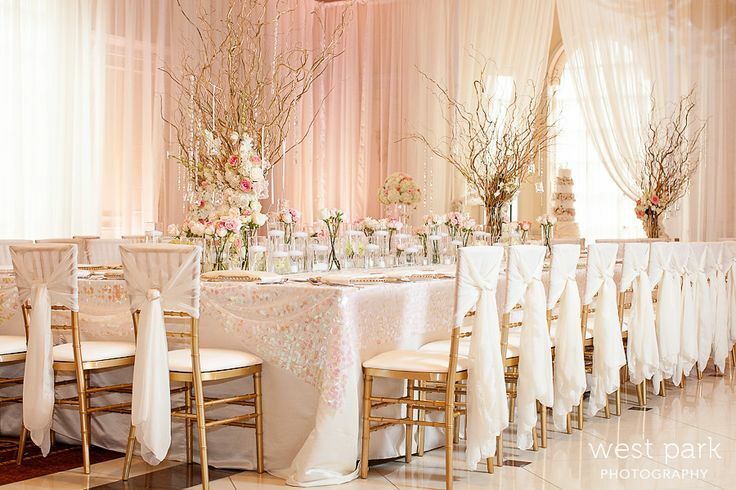 We layered out silver sequin overlays for the tables and plum spandex chair sashes. Plum napkins were folded into little envelopes providing a pop of color on the top of the table. We used our crystal tree centerpieces on the large X shaped tables. The 5 ft tree in the center made a huge impact when entering the room while the smaller 3 ft versions tied in the theme. To save on the budget we chose not to add floral to these tables and instead placed mercury glass and floral pieces on the farmhouse tables. Using multiple centerpieces with a mixture of floral and rentals again gives a lot of visual interest to the space and keeps you away from that boring banquet look. We constructed a chuppha in one corner of the room for her ceremony and created an isle for her to walk down. Draping and lighting was used for the head table to create a beautiful background for her photos. The floral we chose to use really accentuated the room and gave another pop of color. Below are the pictures of the finished product - enjoy! A beautiful time to be married in WNY! Fall's color pallete is rich and varied and so easy to work with, just draw your inspiration from nature. Pumpkins filled with floral make great wedding centerpieces and bridal bouquets made in reds, oranges, purples and yellows pop in photos and really stand out against darker colored bridesmaid dresses. 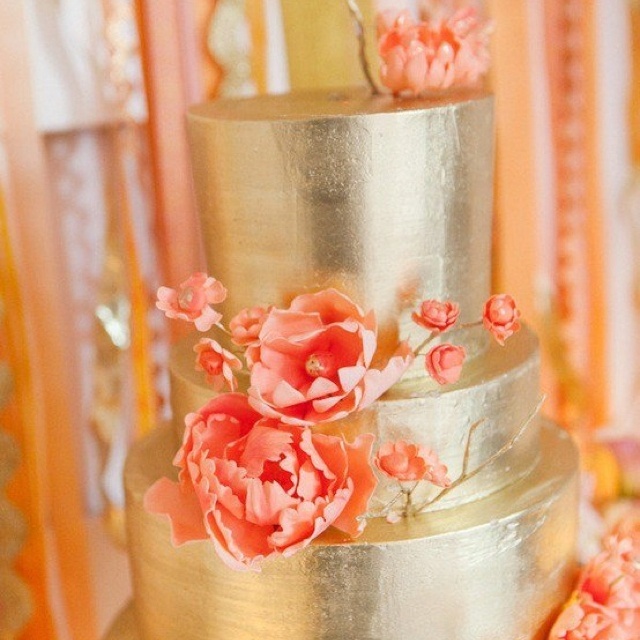 I just cannot get enough of gold and pink! 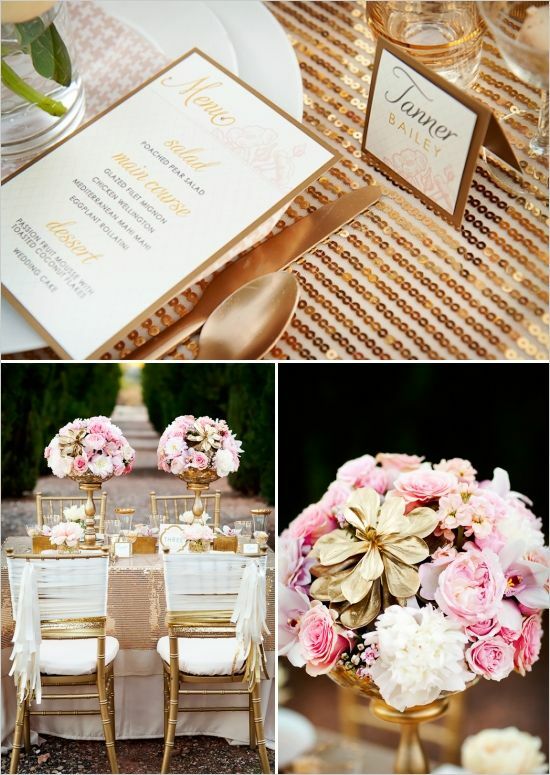 This combination has soo many possibilities from glitzy to rustic to a simple garden wedding. Loving the full sequin table runners and tablecloths in stunning rose gold paired with vintage bottles or classic gold candelabras. The details count so let us help you with your color palette and head table staging to make your wedding one your friends won't forget. Get ready to be inspired! 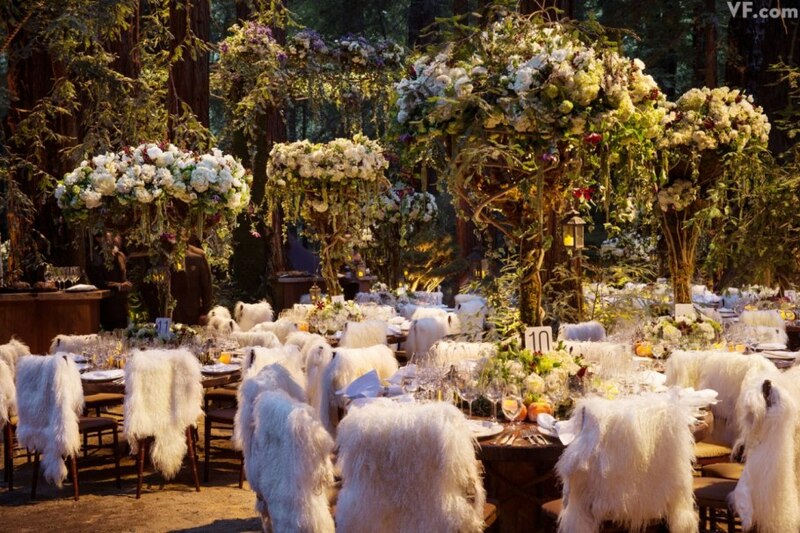 Wedding trends emerge from all aspects of life - pop culture, high art and of course haute couture. 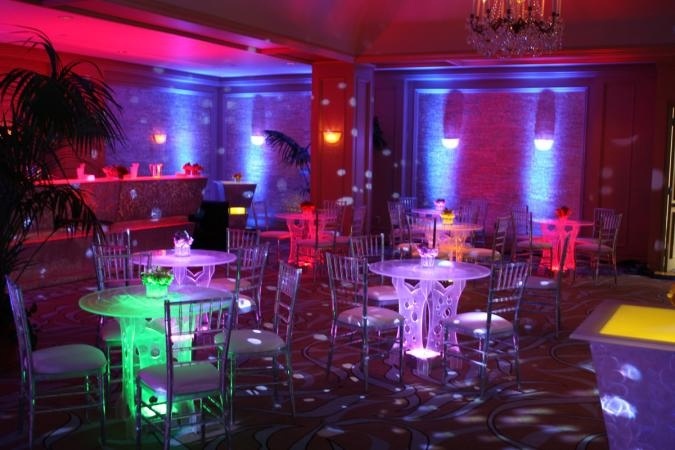 At WNY Event Decorators we love to use these over the top inspirations and make them work for your wedding. 3) Pop Art Graphics - artists such as Andy Warhol provide inspiration for this trend. It's all about the little white dress, so think shorter hemlines. 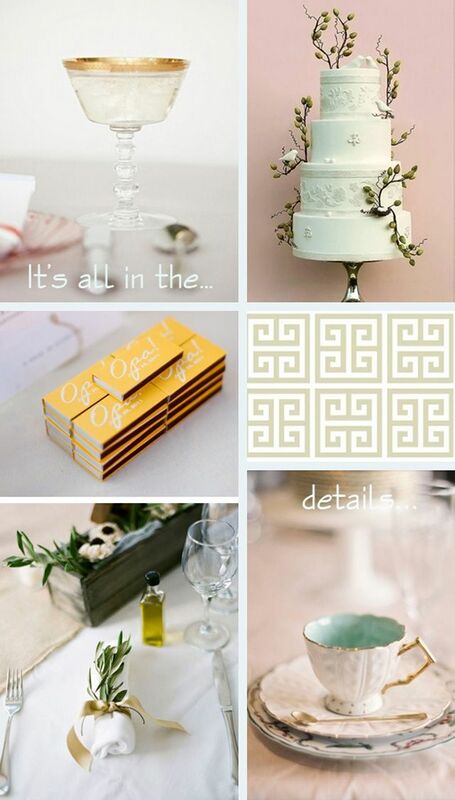 Stong lines in decor with bright colors and graphics in your linens, stationary and floral. Offset with white furniture and use lots of texture and interesting shapes. 4) Geometric - loads of prints, modern, fresh, clean lines - think 50's mod. Geometric patterns in linens, dress and decor. Succulents and cabbage roses work well, use varying shapes in your tablescape and something unexpected like a suspended wedding cake or confetti cannons on the dance floor. 6) Marbleized - hipster with a handcrafted touch. Marbelized paper flags for your chair back, candleholders and marble swirl cupcakes. 7) High Tech Receptions - creativity fun and innovation. Photobooths with flip books and websites, photos in thank you's and save the date, unique charging stations for phones and cameras as decor. Acrylic furniture and lots of lighting. 8) The Phone Check - have guests check their phone at your reception. Makes your reception more private and allows people to be present and not on social media. 10) Halo Veils - A headband with the veil flowing in the back - perfect for a woodland inspired wedding with your flowers added. 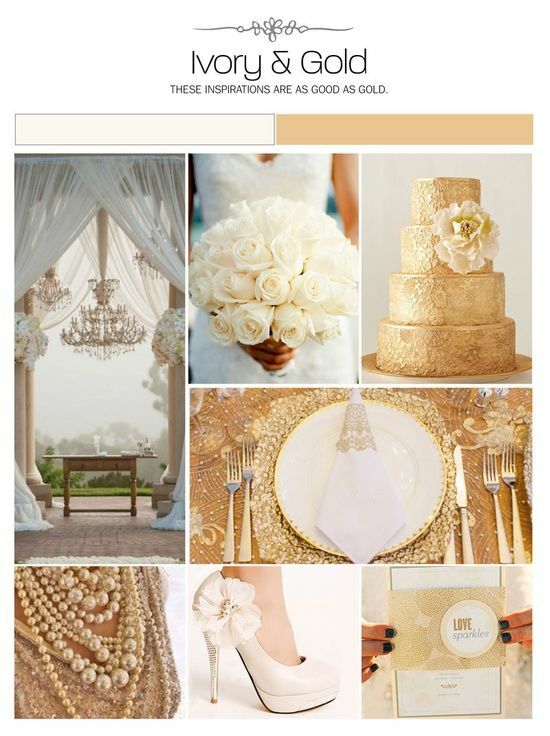 Call us today to see how we can incorporate these trends into your wedding!